& Profit from your Passions Transforming Lives! Most successful coaches now integrate online coaching programs into their business models. And for good reason: it’s a highly cost-effective practice that allows them to support their clients (on the devices they most prefer) 24/7. Available anytime, anywhere, and to anyone in the world, online programs allow you to reach those who need you most. Digital Gold: Create Your Online Coaching Program offers you the fastest, easiest and most affordable way to produce and distribute a professional online coaching program for your ideal clients. It simplifies the often confusing world of program and curriculum development and provides a direct path to discovering the best types of technology to seamlessly deliver your content. Upon completion of this program, you will possess everything you need to launch your online program and generate an unlimited amount of passive income. You’ll also feel confident that your program will fully represent the standards for quality and care you give to your clients in-person, each and every day. Be Strategic in Every Step! Begin your journey as Feroshia walks you step-by-step through the process of creating and launching your online coaching program. She’ll show you how to successfully integrate it into your business model to generate a reliable and ongoing stream of leads and passive income. Next, you’ll discover and translate your know-how into digital gold by focusing on your specific audience and their desired outcomes. You will clearly identify and claim the ideal audience for your program. But you won’t stop there. You’ll identify their biggest challenges and deepest desires. These key factors are vital to successful program content development and your marketing efforts. Lastly, we’ll explore your Signature Solution. This is the takeaway for the client – it’s what they will have as a result of attending your program. It’s also another critical element, effectively appealing to your dream client and positioning you as the go-to coach for your type of coaching. *NOTE: If you previously attended Live & Brand Your Brilliance, you have a solid foundation for this part of the course. If you are entering into Digital Gold directly, this module can save you time, money and energy while helping you avoid the risk of having to redo the program or miss impacting the lives of your clients! Map your client’s journey to success. 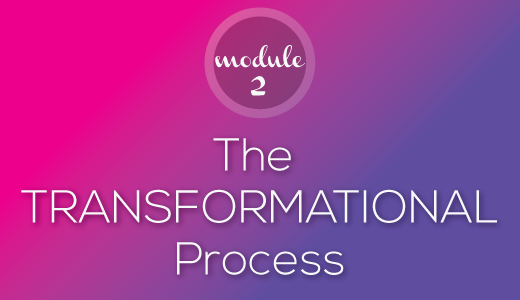 We’ll begin by outlining the step-by-step Transformational Journey required for your clients to shift – from their present situation into generating the results they seek most. With the journey clearly mapped, we’ll dive deep into creating learning objectives and deliverables for each training module in your program. You’ll be confident that your curriculum will move your client to exactly where you want them to be within your process every step of the way. Lastly, Feroshia will show you how to evaluate or translate any existing content you may already have from live programs, coaching experience, ebooks, audio, video, and/or blog posts into your new online program. 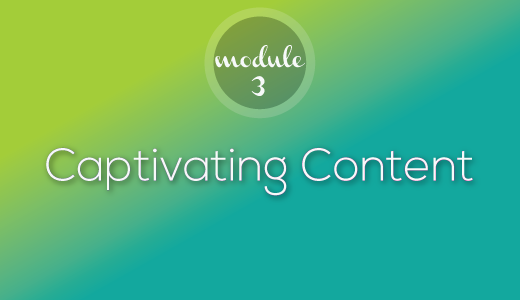 With the transformational process well documented, it’s time to get down to the nitty-gritty of content creation for each of the individual modules. Here’s where you’ll learn to mesmerize your clients with content that generates the kind of results that allow them to feel great about their investment. You’ll integrate stories, examples and testimonials, and other YOU-centric content into our proven templates, crafting curriculum that delivers a robust experience for your ideal clients. These real-life illustrations also provide them with the structure and steps necessary to achieve their desired solution – not to mention: proof that it can be done! Finally, you will learn how to integrate multiple communication channels, including audio, video and written content and be able to decide what channels are best for your natural style and your audience’s needs. Learn youto get comfortable when that red recording light goes on and be your natural and authentic self. Stay connected to your audience by engaging with them through a conversational tone. In this module, Feroshia will teach her favorite techniques for overcoming the fear and anxiety that can play out when creating audio or video content. 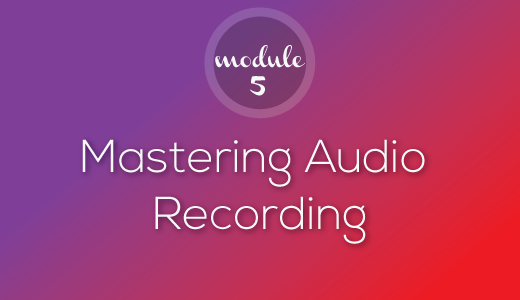 We’ll explore different tools to ensure you remain calm, confident and at ease when recording each module. This is important for many reasons: The more comfortable and confident you are in recording your content, the less editing required. This translates to faster program creation and lower production costs if you outsource the editing. You’ll also be prouder of the end results and therefore more likely to promote and share your program. The A to Z of audio recording and editing. Mic check: Testing, 1 – 2! Learn time-saving recording tips and tricks and easily script, record and edit quality audio content within an optimal sound environment. You’ll even be able to set-up your own recording studio and leverage stock music to enhance your program’s content. Feroshia reviews hardware and software, focusing in particular on low-cost options as well as high-end solutions for those who intend to incorporate (and/or sell) professional audio recordings as part of their individual program. To safeguard this investment, you’ll also learn the best places to store and protect your audio assets. This module will keep you feeling confident and release the tension and nervousness that often accompany high-tech processes. With this knowledge, you’ll stay on track and easily sidestep the technical issues that cause so many problems for non-techies. 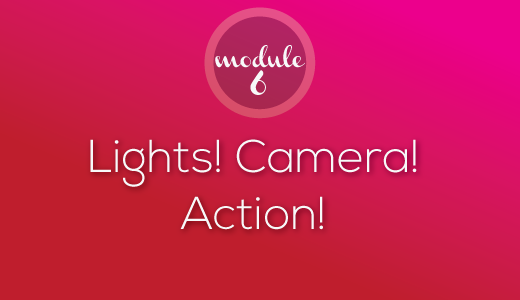 Module #6: Lights! Camera! Action! The A to Z of filming and editing. Now that you’re an audio expert, you’ll learn to script and shoot high quality video, including lighting, sound and the technical aspects associated with video production. 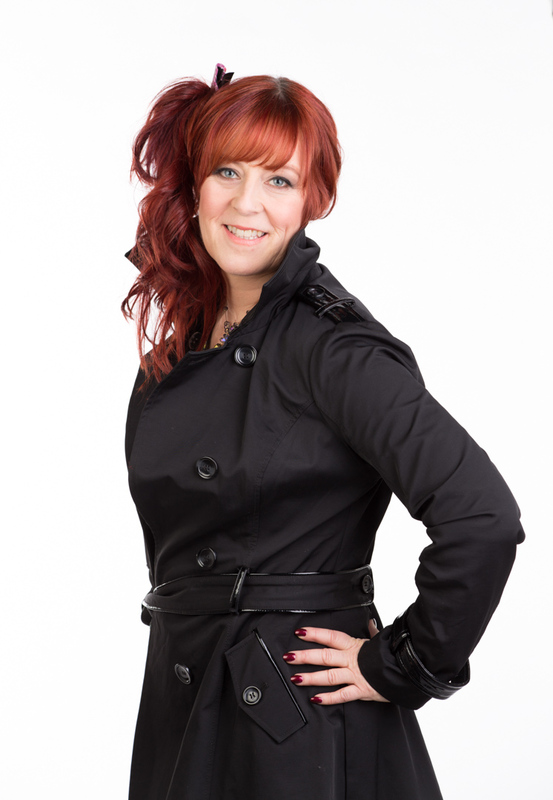 As the director and producer of a wide range of educational videos, Feroshia offers her decades of expertise in set dressing, noise control, and low cost production techniques that can help you create the strongest possible video content at the lowest possible cost. The final component to this module offers instruction on editing techniques, ensuring your video is cut together to effectively convey your message in the most efficient way possible. Feroshia offers tips and advice on the easiest software platforms for editing your content, based on your skill level. She’ll also review the best places to store and protect your video assets, ensuring they’re readily accessible yet protected from hard drive failures and theft. And lastly: some of her favorite outsourcing options for editing, saving you time and pressure. 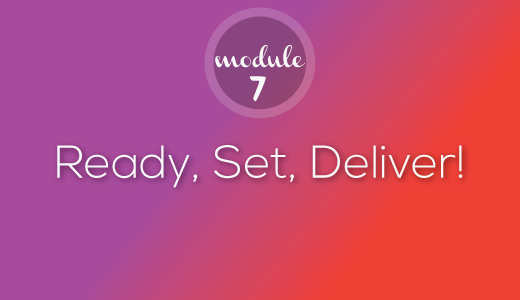 Module #7: Ready, Set, Deliver! Choose your ideal program delivery platform. In this module, Feroshia covers online content delivery platforms that range from the cheapest options (zero cost) to fee-based solutions that make implementation a snap. She’ll also provide tips and insight on the most popular methods of automation and delivery. You will be able to choose a content delivery system that suits your needs and budget, and one that delivers access 24/7, allowing your clients to buy or attend on their schedule. In addition, Feroshia will talk about the differences between membership models and single programs, as well as the power of cross- or up-selling when leveraging your technology options. How to ensure a satisfying and memorable user experience. Learn to create ease and flow for your audience by designing your program interface with visual elements and a simple intuitive navigation system. Feroshia will share her proven structure for formatting program content with a focus on visual design and usability. Feroshia will also discuss the importance of intro videos and how to build in memory retention into your content to ensure your audience receives the maximum value from their program experience. 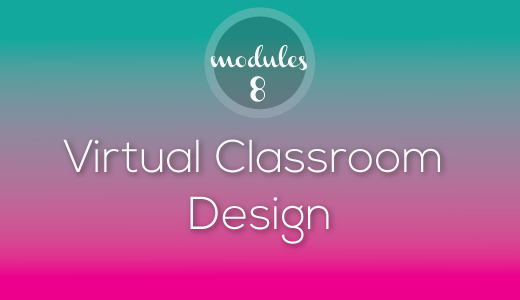 Upon completion of this module, you will have a strategy for visual design that adheres to your branding standards and provides an easy interface for your clients to navigate their program. This extra polish conveys far more value and leaves a lasting impression on the professionalism of your program. What’s in a name? Actually, quite a lot. 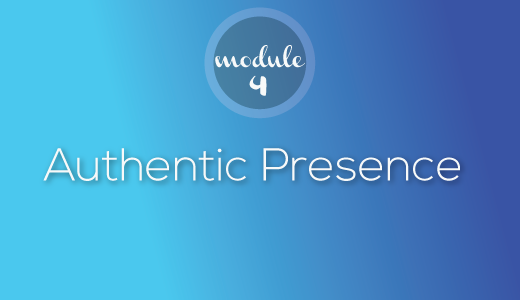 In this module, Feroshia helps you craft your Signature Branding Language, including branded descriptive names for your program and the individual modules, as well as the key lingo and acronyms for your tribe’s unique culture. 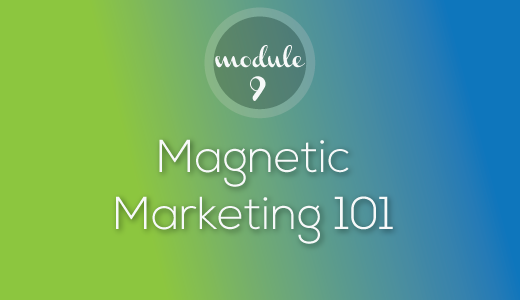 Taking a small step back into the marketing process, this stage ensures your clients perceive the value of your program by using magnetic marketing language, consistently and throughout all of your program marketing efforts. In addition, she’ll cover how to write a program page for your website that succinctly shows the value of your program and its applications. Together, we’ll create a compelling program name and module titles that directly reflect the unique results you offer. Deliver a top quality program. You will learn how to facilitate a focus group and beta test your program before going “live” in front of potential clients. You’ll learn the kinds of questions to ask that will help you refine your program and ensure a smooth and satisfying experience for your clients. You’ll also learn proven retention practices such as mentoring and masterminds that keep them engaged and excited to continue their relationship with you in future programs or opportunities. 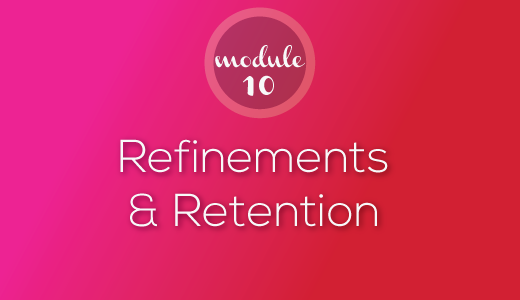 This is a critical component as retention is traditionally one of the biggest problems with online courses. Feroshia also provides valuable tips on crafting language that can help protect you from legal hassles, including Privacy and Terms & Conditions web pages. She’ll also offer guidance on selecting the proper insurance protection for the type of coaching program you offer and help you craft a Risk Reversal that guarantees the quality of your services while simultaneously selling them. From opt-ins to automation, we’ll put your program on autopilot and show you how to generate traffic to your online money magnet. 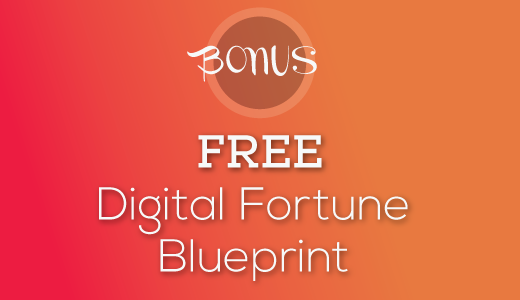 In this bonus module, Feroshia speaks about your next steps for generating passive income through a powerful, low-cost marketing funnel that leverages Facebook and JV partnerships. You’ll be exposed to some of the most powerful tools coaches use in their businesses to attract leads and clients online, learning how to fill your own pipeline with ideal clients and CLAIM YOUR DIGITAL GOLD! Those at the top never traveled alone. With three decades of experience in the business of change, Feroshia strongly believes that the power of a good mentor is like sweet fuel in the tank. 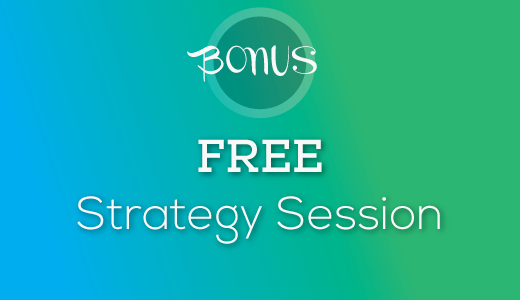 Get radically clear in your process and accelerate growth with 3 FREE 60-minute strategy sessions with Feroshia or one of her top business coaches. Use this free offering any time in your process! You can attend this program LIVE or watch the recordings later. I’ll be teaching you and my other students how to design, deliver and monetize your online coaching program. You’ll possess everything you need from content creation to leveraging technology to automatic your process. PLUS you’ll be able to deliver this content live in your workshops, seminars or other trainings. You’ll not only be able to create captivating content and curriculum, you’ll be opening the door to passive income 24-7. Your future self will surely thank you! A central component to your success is finding the right program (and an expert guide) for your needs. And I’m here to make sure you do! My goal is to help you discover the right path that will lead you to the results you seek. So here are the answers to some of the most commonly asked questions related to the Wisdom to Wealth programs available through Feroshia.com and CoachTrainingWorld.com. If your question isn’t addressed below, please use the comments box below and I or one of my team members will respond within two business days. From time to time, we all have unavoidable scheduling conflicts or find ourselves a little under the weather. Unlike a college course, all of our sessions are recorded, enabling you to take part live or at a time that’s more convenient for you. Audio files of our calls are uploaded to the web and available for on-demand streaming, ensuring that you’ll never miss out or fall behind. As an enrolled student, you receive access to all of the training materials and any course updates associated with your program for an entire year. This allows you to catch anything you miss and review all of the content at any point in the future if you feel you need a refresher. Most attendees are current coaching business owners or newer coaches committed to leveraging their online presence to generate cash and clients.. More importantly, all are prepared to roll up their sleeves and dive into the process. This program teaches you the strategies to create your online coaching program that apply online and off. As a change-maker, you already know how to evoke change in others, now it’s time to create “change” for yourself as a lucrative luminary. This robust program teaches you the A-to-Z of creating and launching a profitable online coaching program. You’ll not only be able to better attract your ideal clients, but will be putting your time and money in the right places. If you are a new business owner, these programs will get you started on the right track – the one that will produce the financial ease you’re looking for. What if I don’t know exactly what I have to sell? If you are still struggling to figure out your niche or determine exactly what your online coaching program is all about, you’ll enjoy getting the clarity around your offer, your audience and how to package up your gifts most effectively with our BONUs offer: Live & Brand Your Brilliance. What you have that others want and will pay for! These are your vital foundational steps toward creating an online program that will sustain you financially and emotionally – generating happiness, fulfillment, and success for both you and your clients. You’ll walk away from this program with radical clarity on exactly what you have to offer, who wants it, and how you can earn the most from it. How much time do I need to set aside for the program? 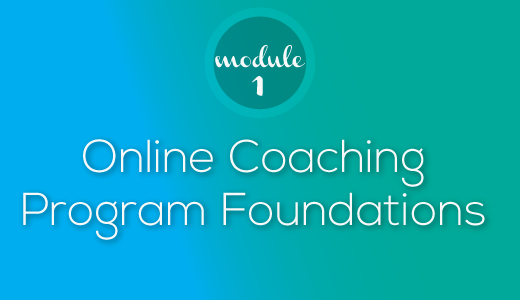 This comprehensive step-by-step program walks you through the process of creating your online coaching program, allowing you to translate your knowledge, skills and experience into an online coaching program your clients will love!. As with any aspect of personal or professional development: you get out of it what you invest. The program allows you to work at your own pace. But the more time you invest in each course, the more value you will get out of the mentoring. Each week, you’ll attend a live program which is recorded for future payback. Plus, you’ll have access to live monthly personal group mentoring sessions and a private online community for each course. What if I’ve tried other programs and they didn’t work? There are many reasons why some programs work and others don’t. Those who’ve been disappointed in other trainings – myself included – frequently cite the incomplete nature of the information provided. You may get all the pieces but then you have to spend countless hours trying to put the puzzle together (usually on your own). Or you struggle to deepen your understanding of the high-concepts presented in many of these programs only to be offered personal coaching (for thousands of dollars extra) to get the real answers and strategies you need. There are many programs to choose from. I’ve designed this program to make sure you act according to your true desire, cut through the white noise of a competitive marketplace, and avoid the common pitfalls that threaten many business owners – experienced and inexperienced alike. If you’ve tried other programs and didn’t achieve the success you expected, I would encourage you to look at this as a fresh start. We begin with what you’ve already got in place and fast track you along your way from there. It’s an approach that has consistently catapulted new business owners and inspired lifelong entrepreneurs in a variety of specializations. In particular, I’m proud of the fact that it frequently produces new revelations and insights that have ended up shaping the direction of products and services offered throughout the world. To make sure my program works for you, I stress commitment. I am devoted to your success, but if you aren’t creating the time and space necessary or putting in the effort as the driver, your results will be slow-coming. Without exception, a successful business requires devotion, focus, and energy. If you can commit to those things and learn to use them effectively, you’re already well past the point where many others get sidetracked. I should warn you: I’m an achiever and I’ll run as fast as you can – it’s in my blood. Will I get complete access to the full program from the start? No. This program is comprehensive, covering a lot of ground rather quickly. It is also delivered LIVE with the option to watch the video trainings at a later time. I have intentionally broken it up into bite-size chunks. This allows you to easily absorb the individual components and still have a life, creating your business along the way. Once you complete a course module, you’re free to start the next. I want you to be rock-solid ready to proceed into each module and not have to backtrack or start over because you weren’t 100% certain or prepared for the next step in the process. I’ve developed this system to provide step-by-step training that builds on itself as you progress – an approach that is proven to promote the highest levels of retention, integration, and overall success. In fact, what I really want is for you to have these marketing and business skills in your bones so you can go far with this knowledge. That said, if you’re more interested in the fast track, you can advance as quickly as you desire, as long as each prerequisite course is complete. I’ve given you the keys to the car and the road to travel – charge ahead at your own speed! You’ll just need to ask, and I’ll open the gate. Who typically attends this program? These are just a few among many who have chosen to break free and create a business that serves others while making the life they want to lead possible. If I have a business partner, can they attend with me? Yes and no. Yes, you are both welcome to attend. But no, you may not attend as 2-for-1. Each program attendee must pay the required tuition. Those who have joined together enjoy the benefit of two heads hearing the same information differently and are often able to leverage the learning more effectively by applying unique perspectives to the same reference point. What if I’m a seasoned business owner? If you’ve been in the coaching business for a while, you already possess a solid foundation on which to build. So think of my program as similar to hiring a business efficiency expert – someone on-call who leverages the latest technology and best practices to provide you with profitable alternatives to increasing your revenue streams and strengthening your client base. The bottom line is this: if you aren’t making the money you want, attracting quality clients, or getting the repeat business you desire, there is something here for you. This program specializes in strategy and implementation related to you creating your online coaching program.. You’ll learn to think differently and be able to produce the results you really want, efficiently and consistently. What opportunities are there to sell or share my business with others? You will learn to generate cash and clients – a process that is tailored uniquely to your personal business. If part of that process involves collaboration with others in the school, we invite you to join the Gold Masters JV Collaborative where you will get to know people as partners and co-create winning results through mutually-beneficial relationships. *************NOTE********* But if you’re simply looking to network or solicit business through other entrepreneurs in the program, this isn’t for you. This is a place to learn. Unfortunately, no. Other than split-pay, we do not offer any additional financing options, such as financial aid or scholarships, at this time. We are a privately-owned school. And because of the deep value we deliver, we keep our classes small to provide the highest level of professional business training and support. In this program, you won’t be swimming in a sea of thousands but rather engaging and learning alongside a select group of others who are deeply devoted to developing a highly successful business of their own. Also, we have discovered that when someone invests in their development, they are positioning themselves for success – one of the lessons you’ll learn to do strategically and effectively in this program. After all, you’ll be asking your clients to do the same – invest in your programs. It’s worth noting that many people earn back their tuition within the first year and some earn 100 times their tuition (or more) within their first launch. The results are different for each attendee. Note: This policy is effective for all programs and products purchased from Feroshia.com on or after March 1, 2015. I believe in the transformative potential of business coaching, having experienced its vibrancy and growth firsthand. That’s why I stand behind all of all my programs and products 100%. If you are dissatisfied with the results you receive from any of my programs, I will gladly refund the full cost of purchase as long as your request meets the following parameters: To qualify for refund, all courses purchased must be completed in full. This means full participation in lectures, seminars, homework assignments, and workshops, as well as mentoring sessions. The reason for this is that development – whether personal or professional – requires time and commitment. If you put forth your best effort and still feel the results are not what you expected, I will gladly refund 100% of your investment. Click here to view our refund policy. Digital Golde makes it simple for you to leverage your brilliance into online content and generate passive income and leads.